These awards were presented today during the Strata Data Conference in New York. The list of winners was revealed on the Datanami website, located at www.datanami.com. The Datanami Readers’ and Editors’ Choice Awards are determined through a nomination and voting process with input from the global Big Data community, as well as selections from the Datanami editors, to highlight key trends, shine a spotlight on technological breakthroughs, and capture a critical cross section of the state of the industry. These awards are revealed each year to kick off the annual Strata Data Conference, which showcases data science, machine learning and analytics for business and technical professionals. This is the second year Striim has been recognized by Datanami readers and editors, winning the 2016 Award for Best Big Data Product: Internet of Things. Datanami is one of the premier online portals covering big data, produced by Tabor Communications, Inc. (TCI) a leading international media, advertising and communications company dedicated to covering advance computing technologies for science, research and business. Datanami is a premier online portal covering big data. It is produced by Tabor Communications, Inc. Receive a complimentary subscription to the weekly Datanami e-newsletter by visiting datanami.com/subscribe. View daily news at www.datanami.com. 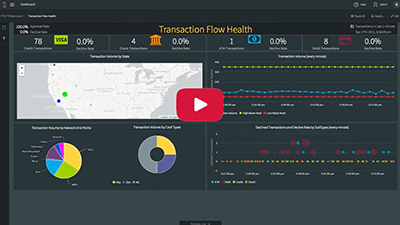 The Striim™ (pronounced “stream”) platform is an enterprise-grade, real-time data integration and intelligence solution. The platform makes it easy to ingest and process high volumes of streaming data – including change data capture – for real-time log correlation, cloud integration, edge processing, and streaming analytics. Companies worldwide use the Striim platform to deliver real-time data integration, analysis and visualization for a wide variety of use cases including data security, fraud, SLA monitoring, customer experience, replication, data modernization, and Internet of Things (IoT) analytics. Please visit www.striim.com, read our blog at www.striim.com/blog, follow @striimteam, or download the Striim platform.